Artefakt is a leading on-line marketing agency in Poland. We help businesses to increase traffic to their web sites as well as their sales. For past 11 years Artefakt has conducted marketing campaigns in 20 European markets and currently serves over 1000 companies, including Polish leading banks, tour operators, real estate developers and e-commerce. Company’s revenue exceeded 2,9 mln USD in 2016. Company’s headquarters are located in Wroclaw, Poland. The company employs 70 experts including copywriters, designers, coders and project managers. We conduct effective paid placement campaigns in search engines as well as in advertising networks such as Google network. We use contextual, demographic and behavioral targeting. We have the status of Premier Google Partner in Poland. Our experts optimize keywords, code, directory structure, navigation and content of web sites in order to bring qualified traffic from search engines organic searches. We conduct valuable web data analysis based on Google Analytics tool. 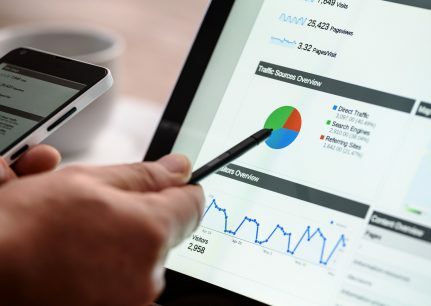 Our experts provide in-depth reports about how visitors interact with websites, who they are and where the traffic is coming from. We use Internet tools and technologies such as social bookmarking, on-line media relations, blogging and social media marketing to disseminate information and communicate directly with the public and customers. We offer effective Facebook marketing in Poland. Should you have any inquiries, please feel free to contact us via email and phone.